In the past the quantity... nowadays the quality is the master! While in Hungary people of the wine scene are talking about questions such as which wineries have the best wines, which grape variety they like - which one not, which wine regions are fashionable nowadays, which wine festival they should visit next time… till people outside of Hungary do not know too much about Hungarian wines. We - in Munich - continuously try to answer basic inquiries of European customers. Why should we buy and drink Hungarian wine? What about Hungarian wines? Well, to be quite frank, if I would be an everyday person, for example in Germany or in Great Britain, who is only a normal fine wine drinker (so somebody who likes real good wines, but knows only French, Spanish or Italien types) does not follow any wine blog with attention, can not speak any Hungarian, has never been to Hungary, has no relationship with any Hungarian person... so how I would be informed on wonderful Hungarian wine products? Not so many wine journalist write about them in magazines and normally we can not find so many Hungarian premium wines on shelves in exclusive wine shops or in wine bars outside of Hungary... How could I be convinced to buy fine wines from Hungary? But if somebody (somehow) find us and may read our articles on Hungarian wines and rowse in our catalogue, can be sure that Hunarian quality wines exist. 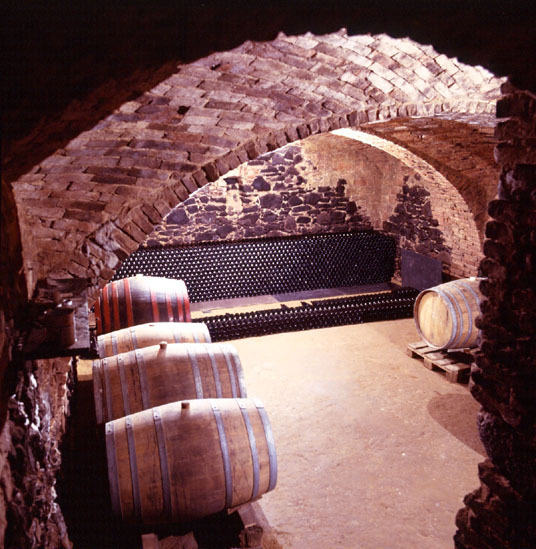 Now we would like to give you shortly two small reasons why it is worth getting to know Hungarian wines. 2. The quality of Hungarian wines developed a lot in the last 20 years. Hungarian wine makers are working on their best and want to rebuild the reputation for fine wines that Hungary enjoyed before pestilence, war and Communism reduced them to ruin and however in the last 20 years Hungarian governments did not lay any emphases and spend so much money on wine marketing like Chile, Italy, France, Spain or Austria, Hungarians have excellent products which have energy, vitality and the country has very interesting and unique (autochthon) grape varieties which you can not find in other countries in Europe. If it is said that the terroir provides character of the wine and the winemaker its personality and Hungarian wine regions are blessed with superb soil and climate conditions and winemakers do give their excellent knowledge, Hungarian fine wines simply have to be really very good! Could the following answers carry conviction? However Hungarian wines and wine makers do not have so much official support of the government and ready united international marketing concept at the moment, we can declare: If you like gourmet dishes and fine wines or you are a wine lover searching for specialties of the world, can not miss Hungarian fine wines and the (autochthon) wine varieties of this country!